Presently, we find ourselves in the ‘Week of Prayer for Christian Unity’. The main theme for the week is taken from a passage in the ‘Acts of the Apostles’: ‘Now the whole group of those who believed were of one heart and soul, and no one claimed private ownership of any possessions, but everything they owned was held in common.’ (Acts 4:32). The theme for today, the third day of prayer, is ‘Sharing’. Briefly, here are some reflections on the subject of ‘sharing’. ‘There was not a needy person among them, for as many as owned lands or houses sold them and brought the proceeds of what was sold. They laid it at the apostles’ feet and it was distributed to each as any had need.’ (Acts 4: 34-35). 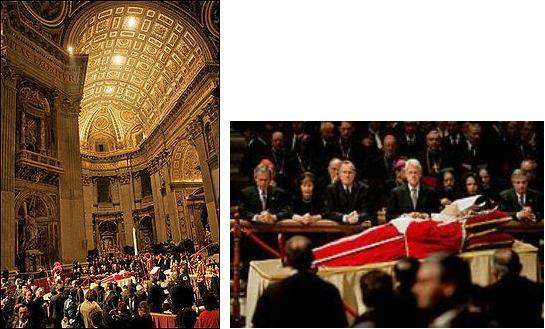 However, the phrase ‘everything they owned’, takes my mind to things much deeper than possessions – money, property and the like – and in promoting this idea, I am thinking of Pope John Paul II, when he was dying. The Pope’s death was immediately announced to the crowds gathered in St Peter’s Square. The news was met with long applause, an Italian sign of respect, followed by several minutes of silence as the crowd took in the news. “Our Holy Father John Paul has returned to the house of the Father,” senior Vatican official, Archbishop Leonardo Sandri, said. Pope John Paul’s funeral brought together the single largest gathering in history of heads of state outside the United Nations, surpassing the funerals of Winston Churchill (1965) and Josip Broz Tito (1980). Four kings, five queens, at least 70 presidents and prime ministers, and more than 14 leaders of other religions attended, alongside the faithful. It is likely to have been the largest single gathering of Christianity in history, with numbers estimated in excess of four million mourners gathering in Rome. I think it is often the case that people are not very ‘open’ about what they do – even in families. We hesitate and don’t like to ‘share’, in that ‘inner-most’ sense, and this must be linked to a fundamental insecurity and lack of trust in those around us. But, what about those around us – the other ‘side of the coin’; does this not herald a call for the rest of us to be trustworthy? That the rest of us – all of us – should be safe to trust; is that a possibility, or just a dream? At least, we could make a start among those of our own circle, in family, among friends, even at work (where appropriate). Perhaps, we could learn from Pope John Paul II and not privatise our lives, too much. So often, we can be ‘locked’ into an individualistic viewpoint of ourselves – and others – much to our own harm. In fact, this attitude of secretive protection is one that business often fosters, (or should the word be ‘festers’): ‘we mustn’t let the rivals know how we go about things, in case we lose our edge over them’. Self-centredness will convince us and make us think we will be ‘lost in the herd’ when we share, and thus we will lose our individuality. However, it is not certain that this will happen. With others, sharing means we can benefit from what they have to offer – things that we do not have – and when we share, others benefit from the things we can give – things that they do not have. And so, I return to the cause for Christian Unity! Here too, our individualism, our own way of thinking, our inability to share, could prevent us being able, really, to listen to the other Christian person of another Church, who happens to have a different point of view. Furthermore, the other – ‘locked’ in the same ‘trap’ – will be unable to listen to us. So it is that misunderstandings and prejudices grow. Thanks be to God, that we live in the age of the ‘Ecumenical Movement’, a time when there is a positive convergence, among Christians of different groups, to dialogue and to share. 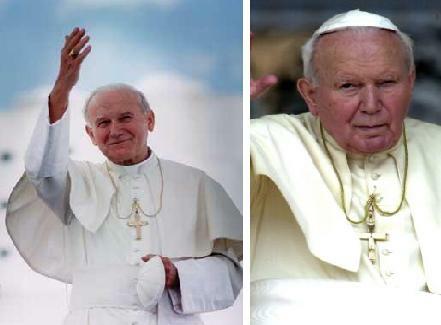 Incidentally, it is interesting to note that Pope John Paul II is due to be beatified on 1st May 2011!